Jordan x RW "Why Not?" Featuring signature Russell Westbrook graphics, the Jordan x RW "Why Not?" 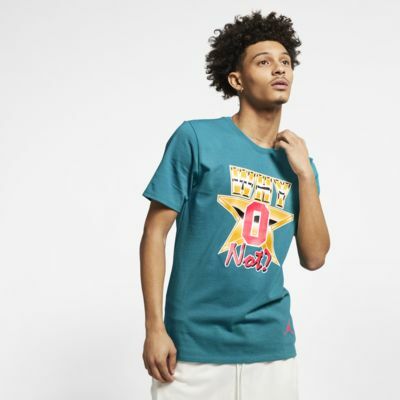 T-Shirt is made with soft cotton for lasting comfort on and off the court. ALL-DAY COMFORT ON AND OFF THE COURT. "Why Not?" graphic is screen-printed on the chest. RW logo and Jumpman design trademark are screen-printed on the left sleeve and left hem, respectively. Have your say. Be the first to review the Jordan x RW "Why Not? ".